Inspired by the simple yet stylish beauty of Scandinavia we use natural (mostly dried) items to customise your own festive pine wreath. Add bit of Skandi florals to your home with our seasonal wreath decorating workshop. 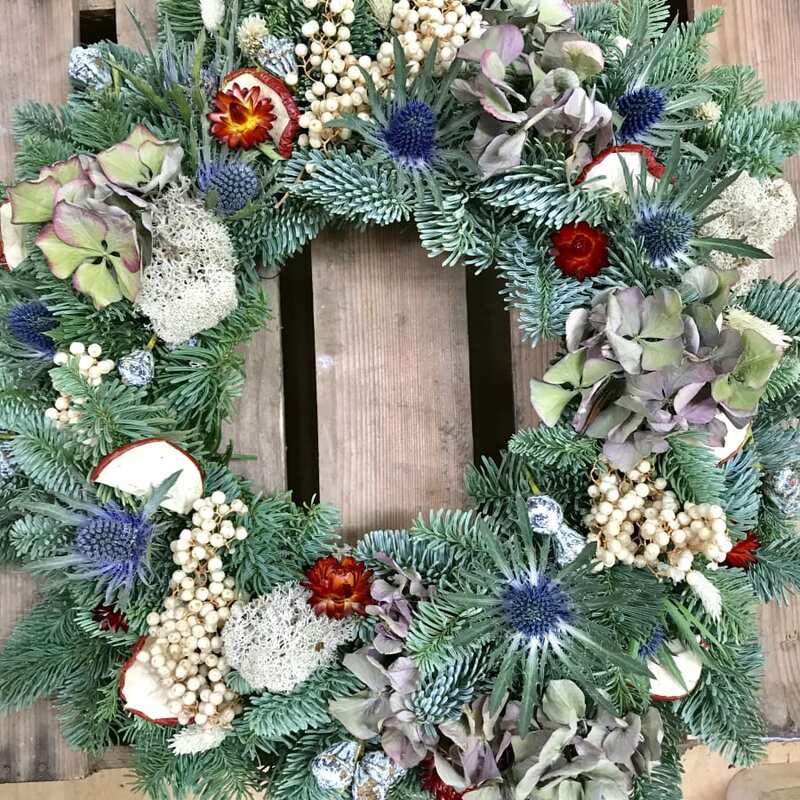 Not just for Christmas - wreaths are fun to make and look lovely all year round. We will provide you with a wreath base and teach you different ways to decorate it in true Skandi style. 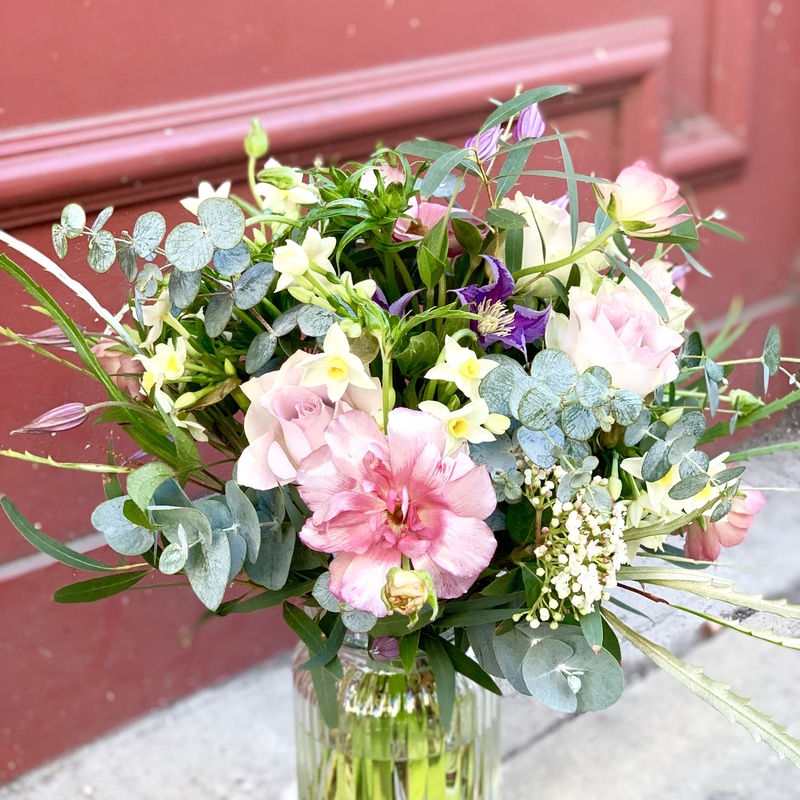 All the necessary materials will be provided to enable you to take away a wreath as beautiful and unique as you. 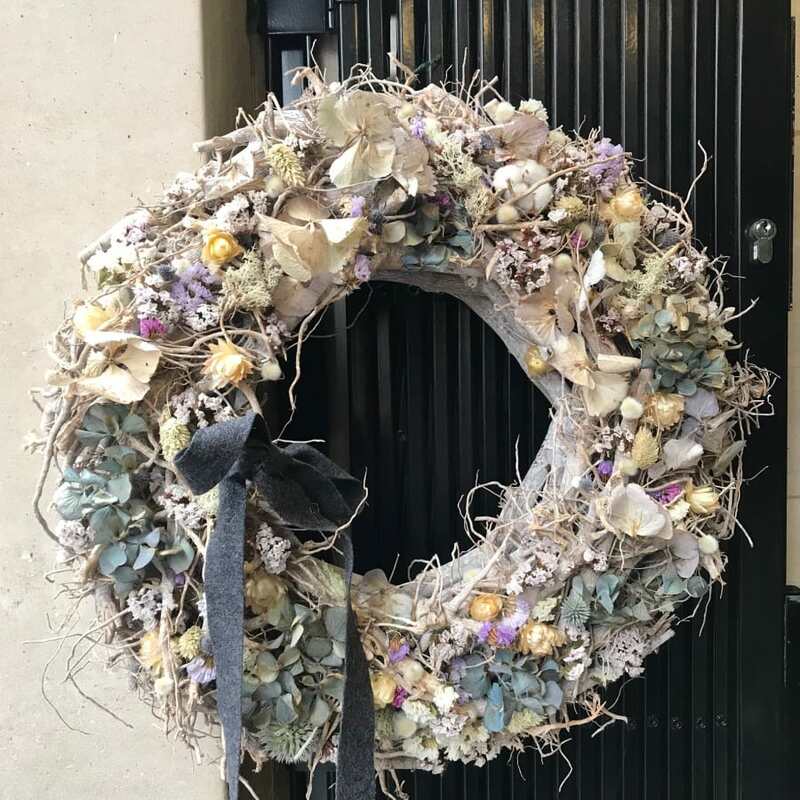 You will learn both traditional and modern methods to add pine cones, dried fruit, flowers, moss, berries and finish it off with lovely ribbon too. We can also make the wreath as an Advent Wreath with the addition of 4 candles. You can bring your own or purchase from us on the day. If you have something fun and/or personal you would like to add to the wreath please feel to bring it along and we can try to incorporate it into the design. Classes of more than 4 people need to be held at an alternative local. It was wonderful: the space is small and scattered, but the class is thoughtful, professional, personal. 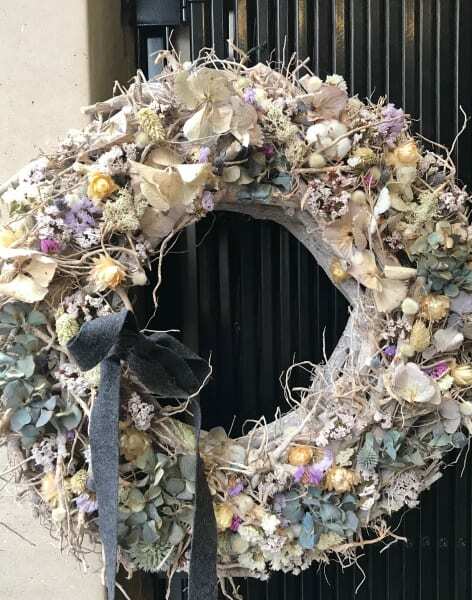 You walk away with not only a wonderful decorative wreath, but also a wealth of information. I would highly recommend. Great day learning how to make a fresh wreath! The teacher was very kind, patient, and helpful! I learned a great deal and will be making more wreaths in the future! Thank you!